U Shape and 2Bsure Vest information. After having a friend land in the water in 2010 I investigated what was on the market for flotation assistance to help my fellow pilots if they ever had the same misfortune. 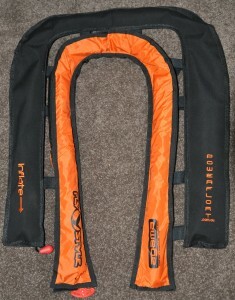 What i found was the models on the market where simply modified U shaped life vests designed for wearing round your neck. 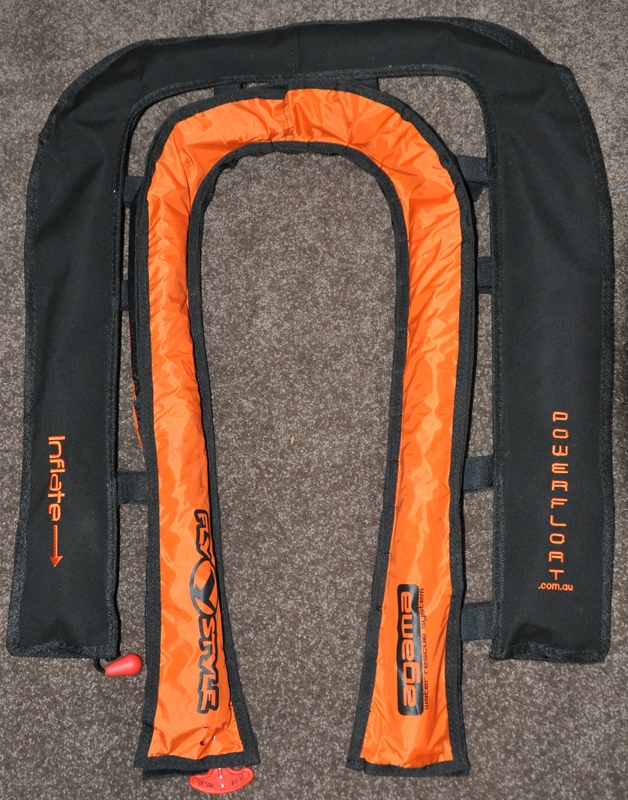 This U shape is to narrow when fitted on a larger shape such as a paramotor frame. The problem here is they never fit correctly and then are pinched when inflated and have a low volume. The answer was to custom make a larger U shaped vest to fit a PPG frame with a bigger lift designed exclusively for the powered paraglider & parmotor community. 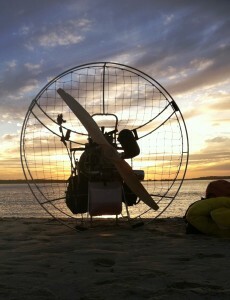 This then lead to the 2 piece system with even more volume for trikes and hang gliders. We also can custom make a flotation system to your design including attachment points for the deployment envelope.